I saw this approaching the island, then cursed as it did a u-turn! 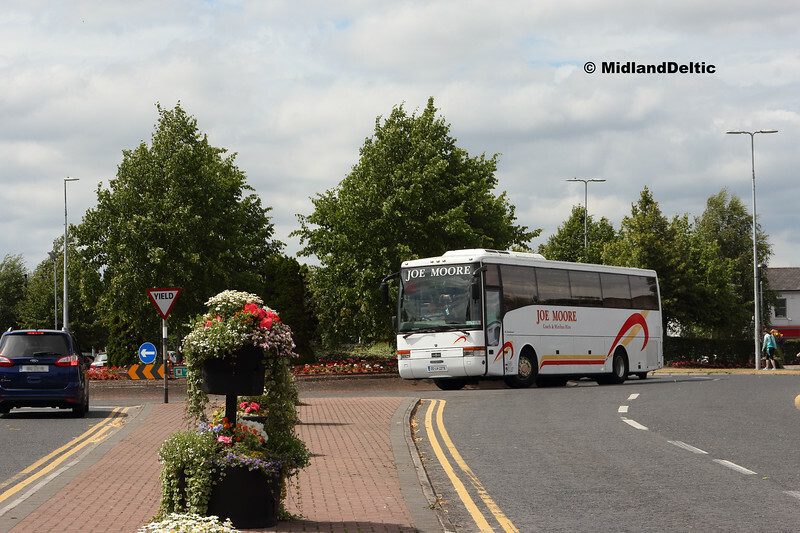 Joe Moore's Scania / Van Hool is seen in the sun in Portlaoise. New to Finlay of Ardee, it spent time with Slieve Bloom before going to Gaughan of Belmullet. It has now returned to County Laois!